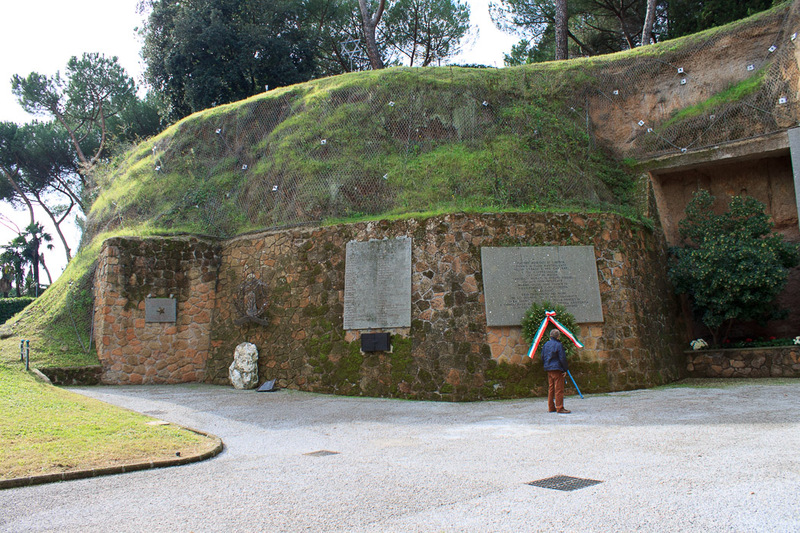 The Fosse Ardeantine massacre was a mass execution of 335 Italians carried out by German occupation troops during the Second World War on March 24, 1944 as a reprisal for a bomb attack on German forces near the Spanish Steps the day before which killed 32 German soldiers. 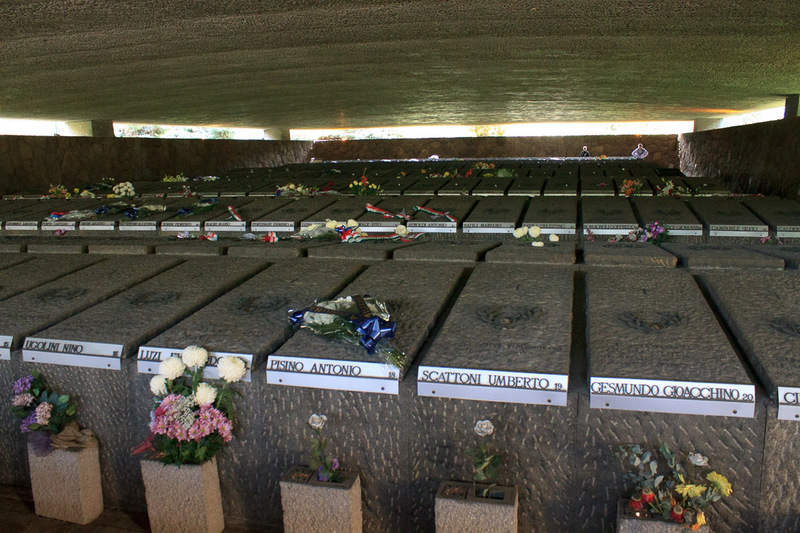 This site, at the caves where the massacre occurred, was declared a Memorial Cemetary and National Monument. Be careful if you go here; it is not permitted to sit within this site and this Tourist in Rome got in trouble when he did so, resting while trying to read-up on the history of this site and what it represents. See all Fosse Ardeantine photos.